NTT Inc. - International Plumbing Code: What Changes Do You Need to Know About? The International Plumbing Code, crucial to ensuring plumbing standards, is an essential part of plumbing work. This code is updated every three years, with reviews and proposed changes submitted well before the year of the new code; in other words, the 2015 code was completed in 2012, and the 2018 code saw all its proposed changes submitted in early 2015. Regardless of timing, though, it’s vital that plumbers and anyone else working with water and drainage know the latest regulations. The International Plumbing Code is similar to a building code. It describes the standards that plumbing has to meet in order to be usable, safe, and healthy. The size of pipes, the number of urinals in a restroom, the temperature on a shower valve, and other related requirements are all listed. The code is used in most of the United States and in many other countries. There are some organizations that object to it, but you’re much more likely to find a company or government organization using the IPC than another code. One thing to look out for, though, is that several states, cities, and other entities use an older version of the IPC. Your company might know the 2015 version, for example, yet the city government where you live might follow the 2012 version, or an even earlier version. When the International Code Council meets to discuss the proposed changes, they look at the type of change and its cost analysis. The changes proposed are highly detailed. They can range from practical considerations, like increasing the number of stalls in the women’s restrooms, to very small items like adding a steel shield to a small part for extra protection. In fact, one of the proposed changes for 2018 was to increase those stalls because of a continued discrepancy in how many stalls or urinals there are in men’s restrooms. The impacts of each code change are wide-ranging. Not only do workers and employers have to start following the new code as soon as it’s officially released, but depending on the change, older fixtures and items might have to be retrofitted. It’s possible for something that meets an older standard to be grandfathered in, but you can never assume. Why Have the International Plumbing Code if It Keeps Changing? The changes to each code are meant to be improvements. Those who drafted the original codes were experts in current plumbing. However, every three years since then, people have suggested ways to improve so that plumbing stays safer and easier to use for everyone involved. It’s a constantly changing process because new technology is always becoming available, or improved versions of parts are created, or people notice a new safety issue that they hadn’t realized existed. It’s a good thing the code keeps changing, even though it does require workers and employers to keep adapting. As mentioned, the code keeps everyone safe when using plumbing. If there were no codes that forced people to meet certain standards, you could see people being burned by excessively hot water temperatures or using pipes that weren’t adequately protected against freezing, leading to damage. How Can I Get My Workers Trained in Plumbing Standards? If you’re an employer whose employees work with plumbing, you and they need to stay up to date. The easiest way to do this is to go through a training program that focuses on the code and its most recent changes. 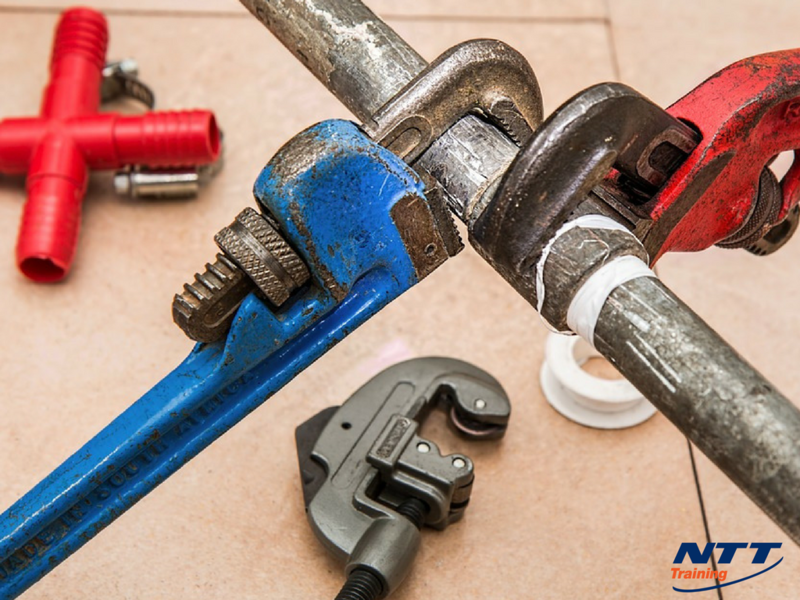 NTT Training offers a plumbing standards course that focuses on the changes that people need to know about and how each change and regulation work together to create safe, efficient plumbing. Connect with a friendly NTT professional today for more information.